Isheem Young's commitment certainly made a splash at PSU. Isheem Young is a rising senior safety at local football powerhouse Imhotep Charter, which reached the PIAA 4A title game last season after winning a state title the season before. Rated a four-star prospect (170th overall) in the 2018 recruiting class by ESPN, Young held scholarship offers from pretty much any big-time school you can think of: Alabama, Ohio State, Clemson, Michigan, and Florida State were among that schools that offered him. And just like St. Joe’s Prep’s D’Andre Swift last summer, Young made a video with Bleacher Report announcing his commitment. As it turns out, he’s staying close to home. 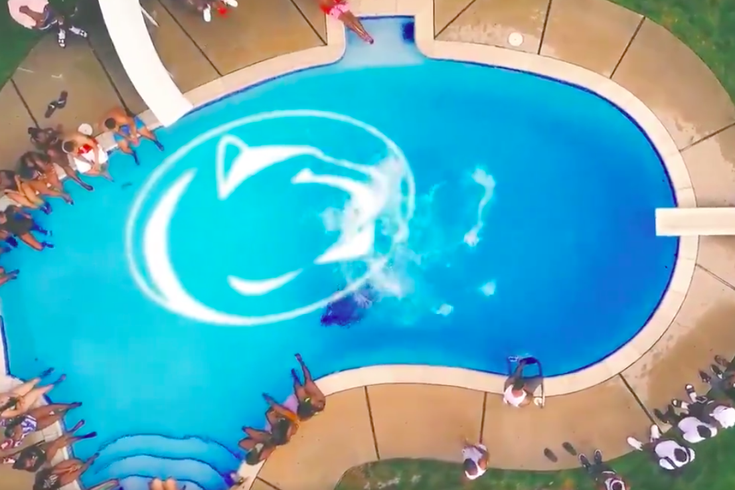 When Young jumps off the diving board into a backyard pool in the video, the water turns into the Penn State logo.